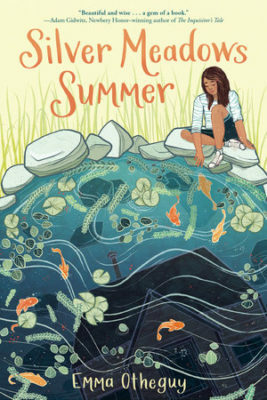 Eleven-year-old Carolina’s summer–and life as she knows it–is upended when Papi loses his job, and she and her family must move from Puerto Rico to her Tía Cuca and Uncle Porter’s house in upstate New York. Now Carolina must attend Silver Meadows camp, where her bossy older cousin Gabriela rules the social scene. Just as Carolina worries she’ll have to spend the entire summer in Gabriela’s shadow, she makes a friend of her own in Jennifer, a fellow artist. Carolina gets another welcome surprise when she stumbles upon a long-abandoned cottage in the woods near the campsite and immediately sees its potential as a creative haven for making art. There, with Jennifer, Carolina begins to reclaim the parts of the life she loved in Puerto Rico and forget about how her relationship with Mami has changed and how distant Papi has become. But when the future of Silver Meadows and the cottage is thrown into jeopardy, Carolina and–to everyone’s surprise–Gabriela come up with a plan to save them. Will it work?